Mini-split systems make it possible to heat and cool spaces that can't accommodate a ductwork system. They can also be used in areas where the existing central HVAC system can't be extended or provides insufficient heating and cooling in specific rooms. 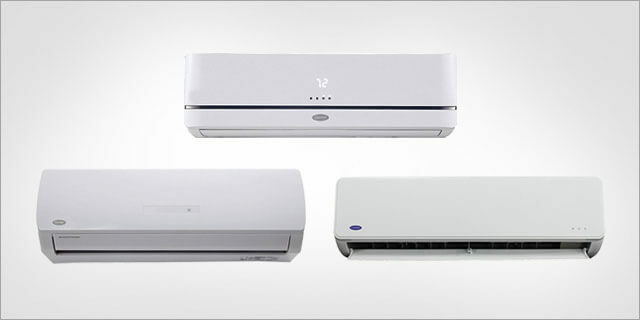 A mini-split system is often called a ductless system because it can provide exceptional heating and cooling without traditional ducting. In a single-zone ductless system, a small pipe connects the outdoor compressor to the interior unit in one room. In a multi-zone system, a modified ductwork system connects the outdoor compressor to as many as nine indoor units, creating independently controlled zones for maximum comfort and efficiency. Their versatility, high efficiency ratings, quiet operation, and ability to provide precise climate control make them ideal for room additions, converted attics and basements, sunrooms, garages, server rooms, computer rooms, small music studios, wine rooms, and other spaces with unique heating or cooling challenges or needs. At Santa Clarita Custom Air, we sell, install, repair, and maintain Carrier and Fujitsu mini-split air conditioners and heat pumps. As an authorized dealer for both brands, you can trust that our company has been thoroughly vetted and that our technicians are fully qualified to provide expert service on all Carrier and Fujitsu mini-split systems. Santa Clarita Custom Air is a family-owned and -operated, fully licensed and insured HVAC contractor that has served the heating and cooling needs of homeowners and businesses throughout the Santa Clarita Valley and San Fernando Valley since 1990. We have more than 15,000 satisfied customers and receive nearly all of our business from our loyal customers and referrals. Our technicians are all factory trained and have between 6 and 30 years of experience. Most of them are also certified by North American Trade Excellence (NATE). If you are interested in mini-split sales, installation, maintenance, or repair in the Santa Clarita or San Fernando Valley area, call Santa Clarita Custom Air today. Whether you are looking for a reliable and energy-efficient heating and cooling solution for your renovated home or business, need diagnostics and repair for a malfunctioning unit; or wish to schedule routine preventative maintenance, we're confident in our ability to meet and exceed your expectations. We stand behind our mini-split repairs with a one-year warranty on labor, and offer free on-site consultations for mini-split installations and replacements. I am very pleased with the installation. The installers were competent and very neat and clean in my home which is very important to me. Also very personable.